Istanbul has an ancient and diverse history as a meeting point between East and West, Asia and Europe. Inhabited since the Neolithic period, it became the city of Byzantium after Greek settlement in the 7th century BCE. Renamed Constantinople in 330 CE, it was successively the capital of the Roman, Byzantine and Ottoman Empires. 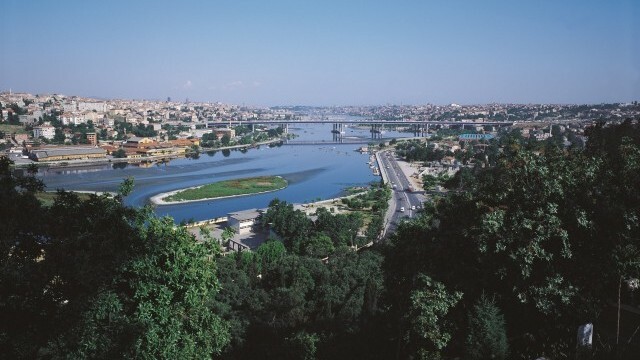 After the foundation of the Republic of Turkey in 1923, Ankara became the capital of Turkey, but Istanbul remains at the centre of Turkish economic and cultural life. Today Istanbul is a megacity, with over 14 million residents, and is soon to become Europe’s most populous metropolitan area. Its population has grown explosively since the middle of the twentieth century, when it had less than 1 million residents. Most of this growth has been driven by internal migration from rural areas. 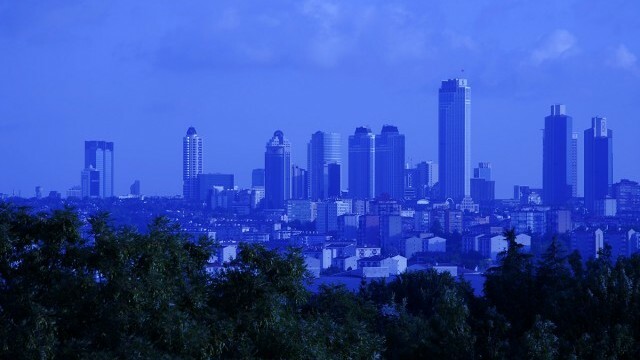 Istanbul has benefited from Turkey’s vibrant economy, one of the fastest growing in Europe. One of its major challenges is dealing with the consequences of that growth, developing the infrastructure to accommodate its new residents while retaining access to green space, water resources and a high quality of life. New transport links are an important part of the city’s infrastructure development. The Yavuz Sultan Selim Bridge, the Marmaray Tunnel and the Eurasia Tunnel will all connect Istanbul’s European and Asian halves across the Bosphorus Strait. In addition a third city airport is due to open in 2018. It will be one of the world’s largest, with a capacity of 200 million passengers per year. 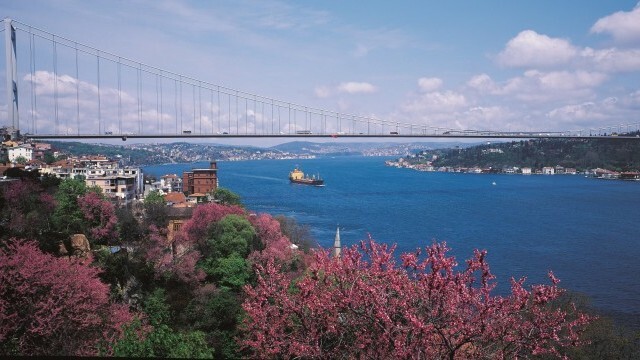 Istanbul is massively rich in cultural heritage, and the historic peninsula of the city is a UNESCO World Heritage site. Some landmarks date back to Roman times, including the monumental Valens Aqueduct. 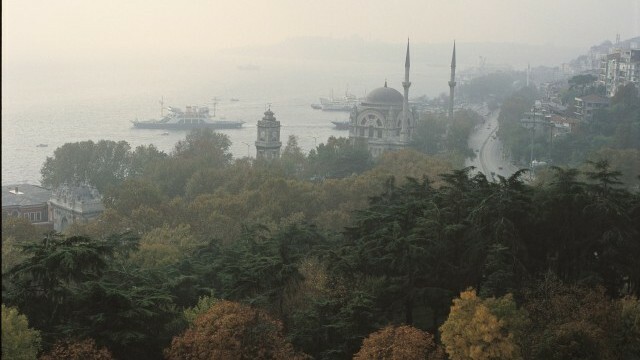 However, buildings from the Byzantine and Ottoman era dominate the city’s skyline. 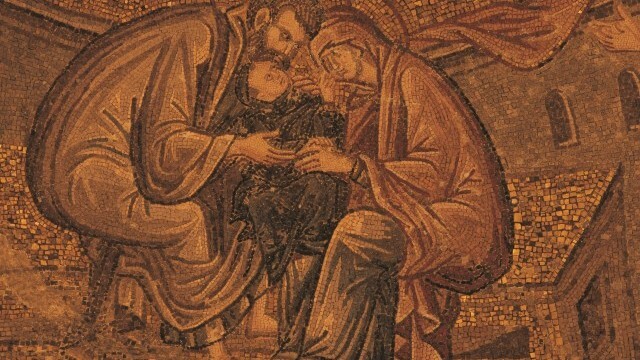 The Hagia Sophia was inaugurated in 537 AD as the seat of the Orthodox Patriarch of Constantinople, and was the world’s largest cathedral for nearly a thousand years. Today it is a museum. 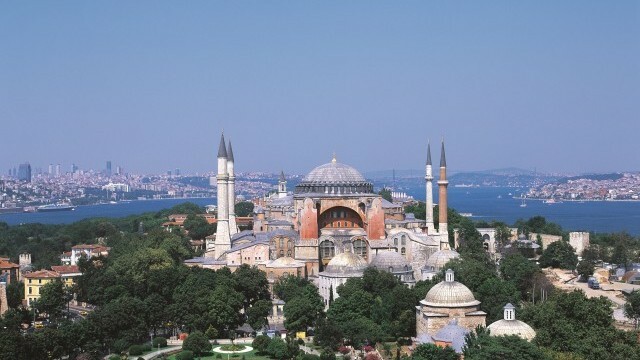 Both the 16th century Süleymaniye Mosque and the 17th century Blue Mosque mix the inspiration of the Hagia Sophia with traditional Islamic architecture. Other landmarks of the Ottoman era include the Topkapi Palace, which was the residence and administrative centre of the Ottoman sultans for centuries. It is now a museum operated by the Turkish Ministry of Culture and Tourism. 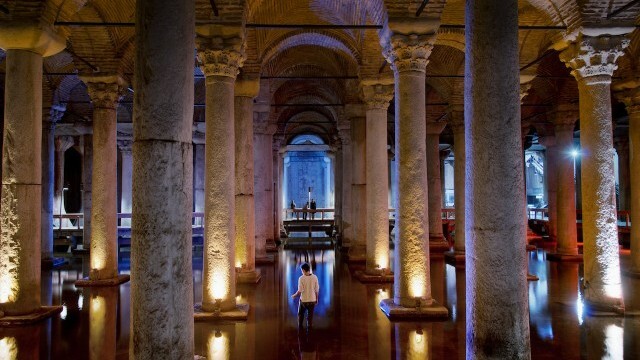 Istanbul’s rich archaeological heritage has occasionally posed issues for development. The Marmaray tunnel under the Bosphorus was delayed for years after the discovery of the remains of a Neolithic settlement and a Byzantine harbour with a multitude of intact shipwrecks. In the wake of these ground-breaking discoveries, a museum is being created to showcase the finds. 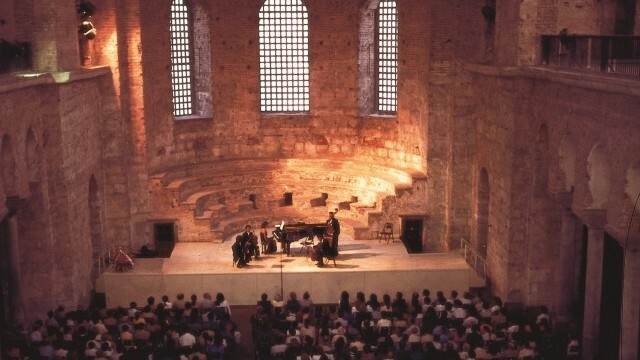 Cultural and heritage policy in Istanbul is shaped by a number of bodies, including the national Ministry of Culture and Tourism and Istanbul Metropolitan Municipality. Public investment is largely concentrated on heritage restoration and the creation of cultural centres. Increasing cultural participation remains a challenge; many city residents have yet to develop the habit of visiting museums and libraries and attending cultural events. Another challenge is increasing cooperation and collaboration between government bodies, cultural institutions and the private sector. Given its rapid growth, issues of modernisation versus preservation are acute in Istanbul at the moment. For example, the deeply historic Karaköy area has become a trendy and artistic neighbourhood. A former warehouse became Istanbul’s first contemporary art museum, Istanbul Modern, and the former Ottoman Bank became a cultural centre, SALT Galata. Yet in the midst of these developments there is concern about the preservation of historical authenticity. The Galataport Project, due to finish in 2018, aims to transform the area into a new gateway to Istanbul, with a major cruise ship terminal and a luxury hotel. Over recent years Istanbul has been developing its cultural offer, catalysed in part by its status as a European Capital of Culture in 2010. The Museum of Innocence was created by Orhan Pamuk and inspired by his novel of the same name. It focuses on daily life in Istanbul in the 1970s and 1980s, and won the 2014 European Museum of the Year award. The Hilye-i Şerif (Ode to Prophet) and Prayer Beads Museum was recently opened in the Siyavuşpaşa Madrasah, a seventeenth-century building. This is the first museum in the world devoted to these important aspects of Islamic material culture. 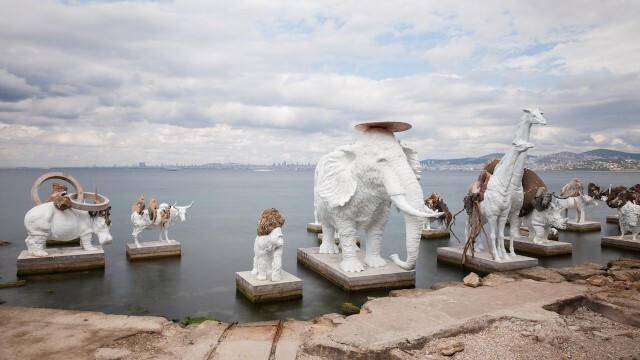 The Istanbul Biennial, founded in 1987 by the Istanbul Foundation for Culture and Arts, has established itself as a major event on the international visual art circuit. The 14th biennial attracted 545,000 visitors over 3 months in 2015, and the 15th will be held in 2017. Alongside it, the Istanbul Design Biennial explores a wide range of types of design, including architecture as well as urban, interior, industrial, graphic, fashion, textile and new media design. Istanbul blends tradition and modernity. It is an ancient city with an unparalleled cultural heritage, also possessing a strong economy, a young population and an increasingly vibrant contemporary cultural scene. Its challenge is to build upon these opportunities, managing growth in order to preserve the uniqueness of its culture and heritage.